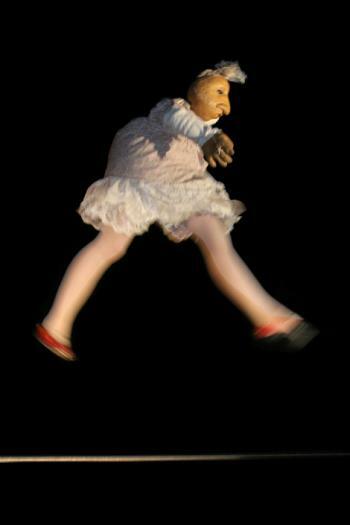 Pétule, half woman, half puppet, enters into the ring to perform her antiheroic ballerina act. She is a rather rustic and worn-out tightrope artist but she is headstrong and the living proof that everyone is allowed a moment of glory. Pétule dances in a cheeky and carefree way. She swings with humour and poetry and you'll be surprised how she can make you believe she’s real.